Gloria Jean, the Buffalo-born actress and singer, who dropped the last name Schoonover for her professional career, died last Friday in Hawaii at the age of 92. 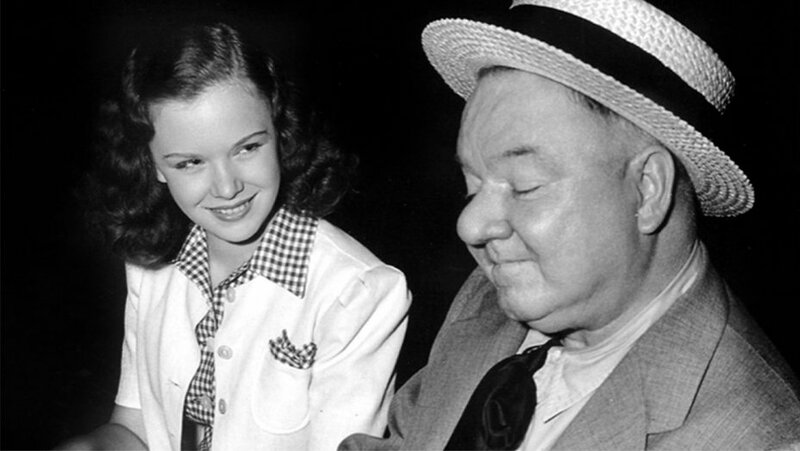 She is best remembered as W. C. Fields’s niece in Never Give a Sucker an Even Break (1940), where she not only had chemistry with the notoriously child-loathing Fields but even stole a few laughs out from underneath him. Born in Buffalo but raised in Scranton, Pennsylvania, she was professionally trained for a career as a coloratura soprano. She as put under contract by Universal Studios, who wanted to develop her as a child star in the mode of Shirley Temple and Deanna Durbin. Jean starred in nearly two dozen feel-good B comedies in the 1940s, singing with Bing Crosby in If I Had My Way (1940), dancing with Donald O’Connor in It Comes Up Love and Mister Big (both 1943) and playing straight to Groucho Marx and his brothers in the Marx Brothers in Copacabana (1947) and to Jerry Lewis in The Ladies Man (1962). She retired from show business in 1963 to become an executive secretary at Redken Laboratories until her retirement in 1993.